Creating a new form is simple! 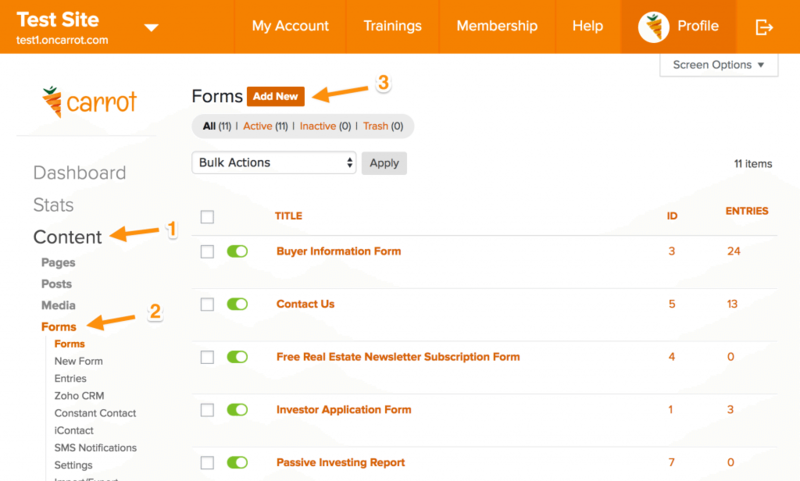 Just head to “Content” from your site’s dashboard, then click on “Forms” and then “Add New”. 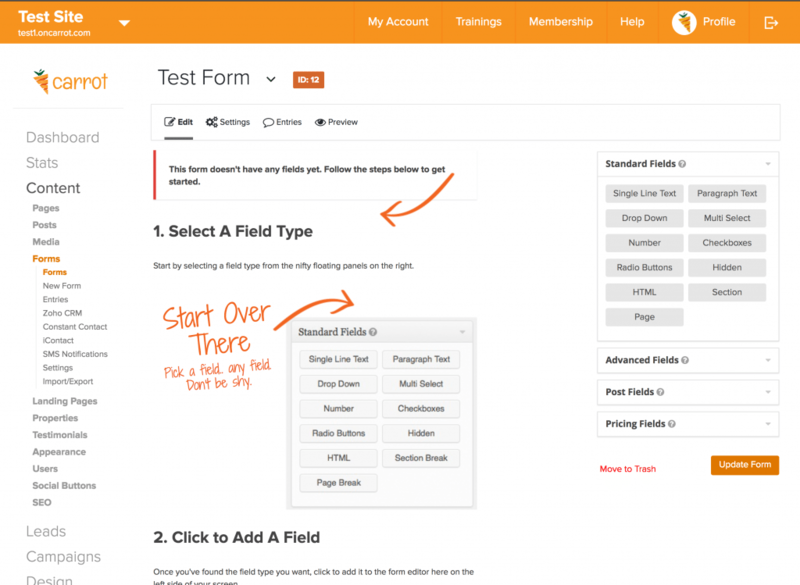 Follow the on-screen instructions to add form fields and save the form. 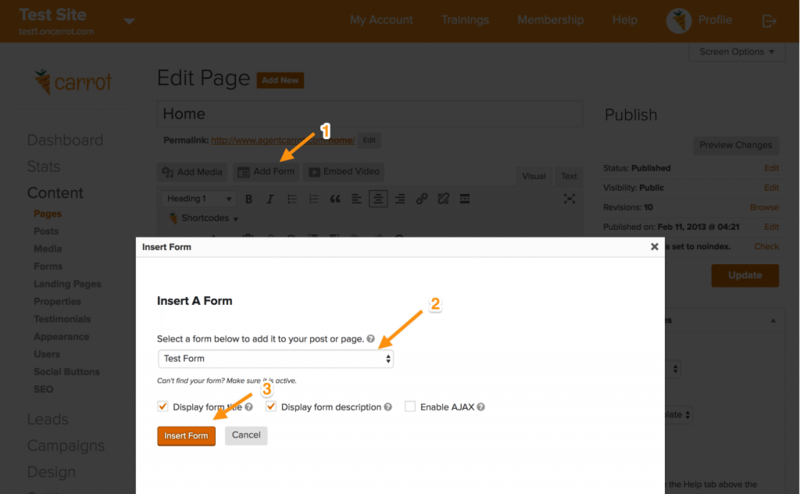 Now when you return to your Page/Post/Landing Page editor you will be able to insert that form, or select it for your page’s hero form.